The Little Book Of Hygge – The Danish Way To Live Well by Meik Wiking, was a weekend read I posted to Instagram a few weeks ago. It had been on my ‘must read’ list for awhile and I thought it would be an excellent end of winter read and it was just that! I enjoyed a weekend sneaking off to read this and savoured the fact since the whole idea of the book was to be present and mindful. The smaller size of the book makes it a perfect book to pick up and read. The nature of the book makes it possible to flip through and enjoy any one part (typically a few pages) on their own. A great coffee table or shelf display book a friend could pick up on the spur of the moment and enjoy as well. 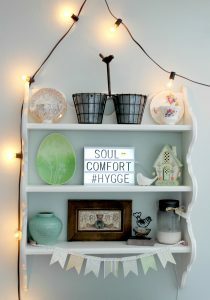 I changed our display board on the shelf in our living room to say “Soul Comfort Hygge” after finishing the book, so you can say I am hooked on the idea. To be honest reading the book gave me a clearer picture of what exactly my inner self is asking for. Hygge has become my answer to most of my life needs – the quiet still moment after a chaotic day, the constant comfort nesting I do within our home – they have a real sense of purpose now. I am drawn to creating hygge for myself and my family, and I always have been. I was able to relate to the book in part because of my geographical location, as we (not to the same extent as Denmark) experience dim Decembers in Canada. I have always loved the lighting and cozy feeling of the Christmas season brings into my home, not realizing it was beyond decorations and the season but instead the comfort of short days and togetherness in soft lighting. It wasn’t until recently that I thought of bringing dim lighting to the rest of winter – hello “hygge” lighting. We are enjoying candle lit dinners and plugging in string lights as we unwind from the busyness of our day. One idea that seems to have changed my way of life was finding the best way to experience the hygge feeling was in opposite of stressful/busy times. I use this thought within my day, keeping my eye on the prize – sitting down with the kids will be so much more enjoyable after doing the work/busyness of the morning, getting tucked into bed to unwind with a great book will be more enjoyable when I have been working hard. Taking time to be comforted and nurtured is more enjoyable when you have the opposite as well to compare. 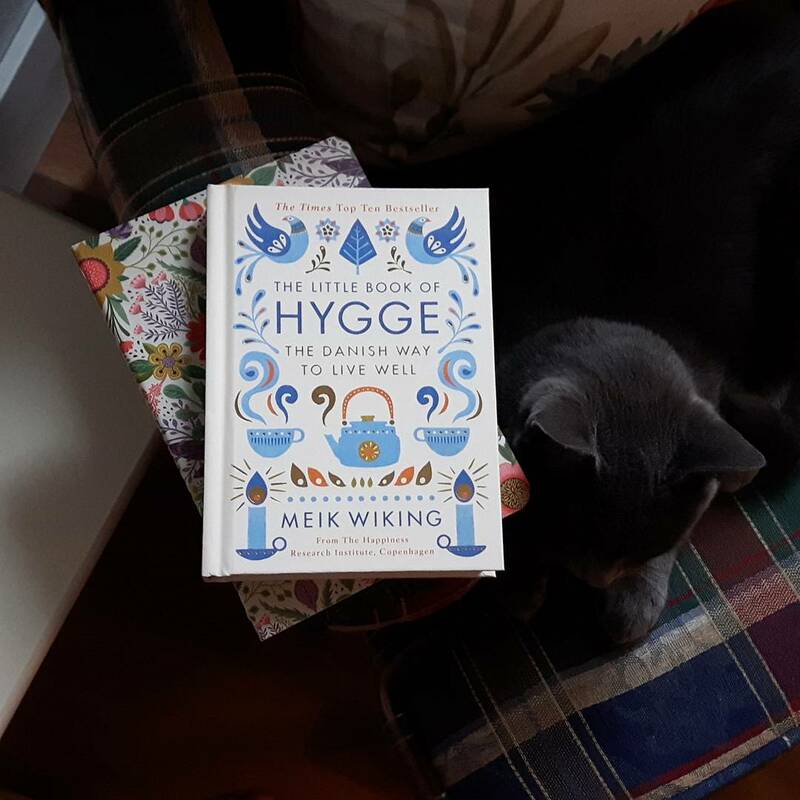 I am glad I took the time to read through The Little Book Of Hygge. I find myself reaching for it since to refresh my mind, and refocus on being present. I am putting effort into creating a hygge friendly/focused home environment for our family and guests. Pick up your own copy, or borrow from your local library! I would love to hear your thoughts on the book, or how you already incorporate the idea of Danish “hygge” into your own home.